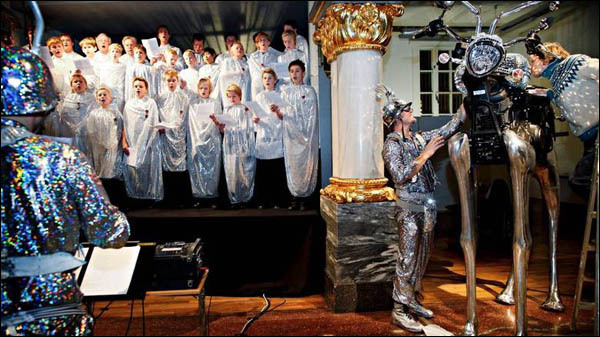 Magne participated in the third annual ‘Desembertoner’ Christmas Concert, sponsored by Nordea on December 21, 2012. The Oslo Boys’ Choir Sølvguttene performed a musical work composed as a result of the recorded movement in the gallery during the ‘Everybody is a composer’ installation. 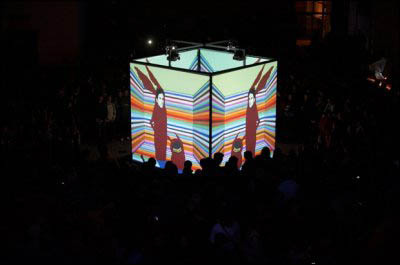 Apparatjik performed in Oslo at the opening of the Astrup Fearnley art museum at Tjuvholmen on September 29. They also did a warm-up gig on September 28 for the media/industry. 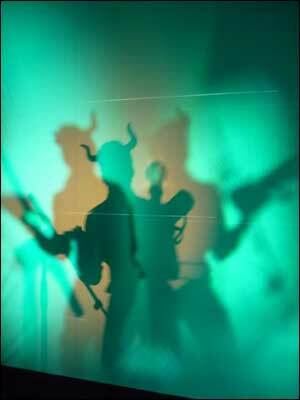 Apparatjik performed in Oslo at the opening of the Astrup Fearnely art museum at Tjuvholmen on September 29. They also did a warm-up gig on September 28 for the media/industry. 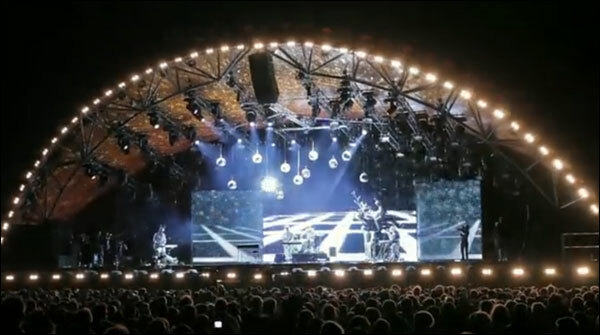 Videos recorded at Apparatjik’s largest concert to date. Thousands of people attended their 1:00am show featuring a DJ set, Lowell’s debut performance, Rudolph the Chrome Nosed Reindeer and a collaboration with Moonspoon Salloon. 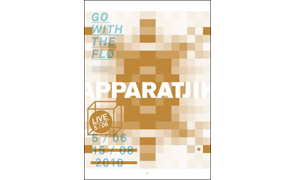 Announced on April 19, Apparatjik performed at the Roskilde Festival in Denmark, on 5-8 July 2012. They were on the Orange stage at 1:00am on July 5. 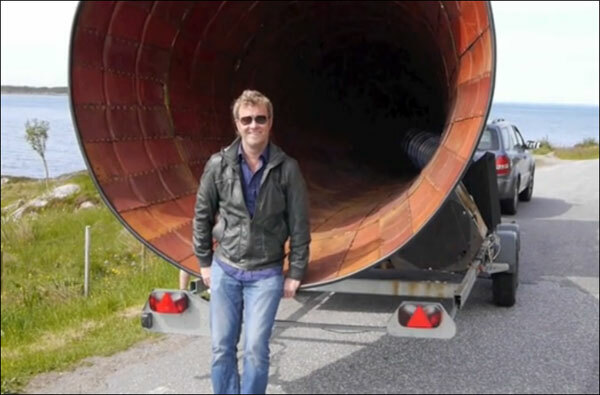 Magne wrote a unique piece of music for ‘Desibel’, the largest mobile horn system, which was performed as the opening fanfare for the 2012 Go With The Flø Festival. The music is a ‘collage of sounds’, and includes audio recorded at a local dockyard and a local farm. 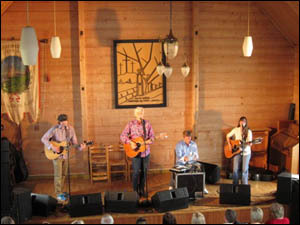 Magne performed with British musician Robyn Hitchcock during the Go With The Flø Festival. 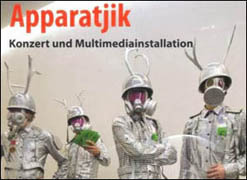 A playlist of videos recorded at Apparatjik’s performance at the Steirischer Herbst Festival of New Art in Graz, Austria on October 15, 2011. Together with Magne and Jonas of Apparatjik were Tobias Wilner (vocals) and Bo Rande (trumpet) from the Danish band Blue Foundation. Apparatjik performed their first concert in Moscow at the Strelka Institute for Media, Architecture and Design summer opening night on 13 May 2011. Playlists of videos recorded at Neue Nationalgalerie in Berlin, Germany on March 12, 26 and 27, 2011. Including rehearsals with the Deutsches Kammerorchester. 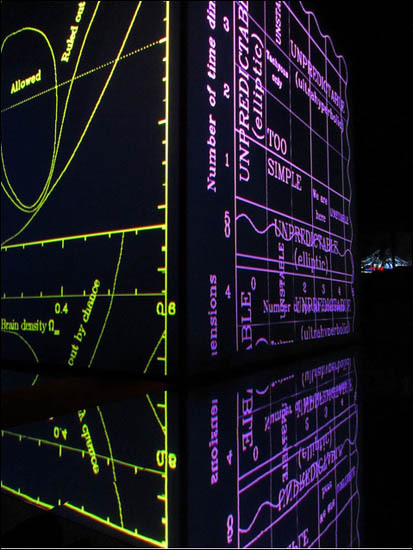 The Apparatjik Light Space Modulator at Neue Nationalgalerie Berlin included performances on 12 March, 26 March and 27 March 2011. A playlist of videos recorded at Apparatjik’s performance during the opening ceremony of the new Deutsche Bank towers in Frankfurt. 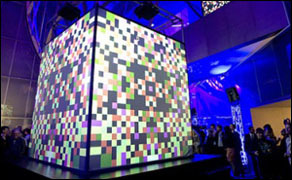 Apparatjik performed during the opening ceremony of the new Deutsche Bank Towers inside a 3×3 metre cube situated in the center of the foyer, on which video images were projected. Apparatjik’s second concert ever was performed in the former Flø schoolhouse, as part of ‘Go with the Flø’, an Studio Opdal annual event. 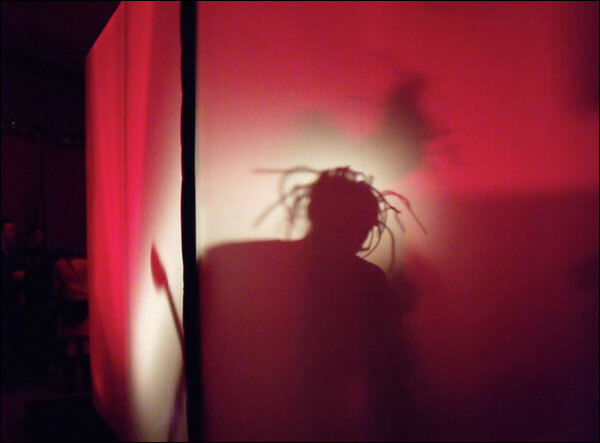 The first ever performance by Apparatjik, at CTM on 1 February 2010 in Berlin.